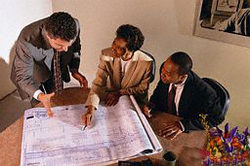 Our group of professionals works with your project managers from the earliest stages of planning... through final delivery and set up at the client’s facility. Every training facility offers special challenges. Building specifications at origin and destination must be thoroughly understood in advance. 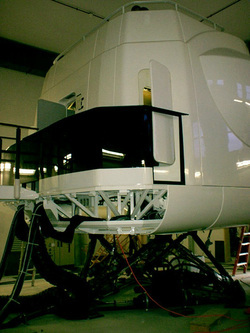 Location of building systems, openings, doors, walls, other training devices, exterior access, and any other potential obstacle is thoroughly analyzed to determine challenges to extraction. Advance site visits are the keys to success. We work closely with you to determine adequate space requirements for proper packing and crating. Utilizing our proprietary site specification checklist, we will take measurements of all components to ensure accurate planning involving riggers and specialized transport carriers. Disruption of existing training schedules is not acceptable. We work closely with your site management team to clearly understand simultaneous training and to minimize the impact of extraction on trainers and students. During the visit, we will also determine if any permits are required to detach equipment from building systems, operate equipment relative to the removal, and impact any nearby airport operations.